Earlier this week I posted about traveling with kids alone. I had just traveled with my two girls alone from Asia to the US. My oldest daughter has special needs, so I wanted to add a few other tips regarding travel with special needs children. 1. Ask for help. This may sound obvious, but sometimes I get into an independent mode and forget to ask for help. I have found that most people are willing to help when asked. During this last trip I asked for help with getting my carry-on down from the overhead compartment. I also asked the flight attendants for extra water. I have to mention that the flight attendants on my flights were extremely helpful and nice. Anyone that travels often will know how oddly pleasant this was. 2. Accept help. Another obvious, but for the flaw I have about independence, I have to remind myself to accept the help that is offered. I know I’m pathetic at times. This trip a man helped me get my luggage from the hotel van into the airport. Although, one needs to be careful and watchful about strangers when traveling alone, I have found that most people just want to be helpful. 3. Wheelchair/stroller use. 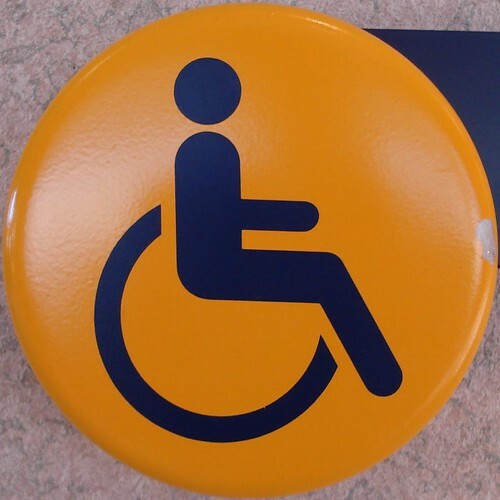 If you don’t have a wheelchair to bring or you don’t want to deal with yours after you arrive at your destination, then use the airline’s wheelchairs. In the past, we have let the airlines know that we needed it and they have had them ready with someone to push them for us. One instance, we even got to ride in the golf cart from one gate to the next. For this trip, I chose to bring our own wheelchair. Jie Jie is walking okay, but she tires easily and with jet-lag and such I was afraid of meltdowns. I checked her wheelchair in at the gate and she walked onto the plane on her own. When we arrived we had to wait a bit, but they brought her wheelchair to us. Although, I do remember a few years ago they forgot to load the stroller, but the airline was great about providing a wheelchair at each layover. A few days later our stroller arrived at our door from the airline. So, if you do take your stroller/wheelchair make sure you have the correct address on the check-in tag. 4. Make it known. Let the people at check-in, security, and at the gate know that you have a child with special needs. This may sound so ridiculous, but I found that not everyone “saw” Jie Jie’s situation. I guess they thought she was just a child in a stroller? Anyway, letting the people know made all the difference. We were able to board earlier, and the security went really smooth. They were understood that we were going to be slower. Some officers helped me put my carry-ons on the x-ray belt. Most of them smiled and were friendly with the kids. I know this ALL depends on the individual, but I really had a good experience with security checks. 5. Be grateful. I think as a parent of special needs children we sometimes have the expectation that we should get special treatment. Don’t get me wrong here, I agree that the disabled have rights and we need to stand in and fight for those rights. That is not what I’m getting at here. What I’m saying is, we shouldn’t forget to say “Thank you” to those who help, even if it is part of their job. Smiling at the people who are helping and being pleasant is another way of showing gratitude and it brightens their day, too. Demonstrating gratitude for our children, whether they are disabled or not, is a great way to begin teaching them to be grateful and polite to others early on. *Note that with international traveling, other cultures may not treat children with special needs with the same “rights” as the country you come from. Your Turn: Have you traveled with your special needs child? What are some tips that you have? Please share in the comments below. This entry was posted in Parenting, Special Needs, Traveling, Uncategorized and tagged airports, expat, special needs, tcks, traveling by MaDonna. Bookmark the permalink.